Leah's post got me thinking about the transient nature of the net. Hell-- my first website is long gone; wish I had even taken a screen shot of it. Which got me thinking, it seems like the most reliable way to preserve the net's history is with archival through pixels. 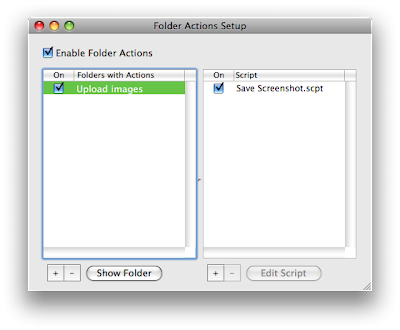 Behold: My gross workflow for Mac OS X and Firefox that saves a website screenshot to any gallery via email posting. 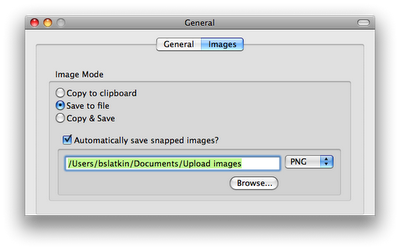 Use this for super-low-time cost website capture. Last, set up the Python script, adjusted with whatever settings you need to make it work with your posting system. In my case, I'm using it with Picasa Web Albums, which has an emailing interface; you could also use Posterous if that's your thing. """Emails a screenshot to an email address.""" You should not see this.